Nothing is more charming than a home with a touch of character. Wood windows can provide that perfect design element that takes your home from "so-so" to "wow" the moment your guests lay eyes on the gorgeous view through your unique wood windows. If you want to leave the wood bare to get the most out of the natural element, choose a wood you really love and that provides the warmth you want, such as red cedar or pine. 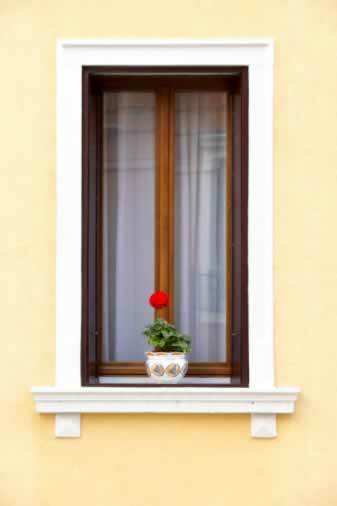 If you prefer to paint your windows, you can still create something unusual beyond the paint color you choose. Windows with unique design insets, etched windows, and even wood windows that provide a different type of hardware to open them with, such as cranks or pulleys, can impart an old-world charm. Wood windows in unique places or in unusual shapes will provide a conversation piece, so get ready to talk about your choices!